Location, location, location. The estate agent’s mantra is a familiar one, but in today’s digital marketing world it doesn’t matter where your business is as much as how you use location-based marketing services in creative ways. Location-based features add a vital real-word element to social media and digital marketing – it lets potential customers know that you’re a genuine business and adds trust and personality to your online marketing. There are several tools in the social media sphere that small businesses use to make local marketing a breeze. If you’re a regular in the digital blogosphere, you can’t have missed the news that Facebook has recently hired the Gowalla team – and promptly made plans to close the service. This narrows the market somewhat to a big four of Foursquare, Facebook, Google Places, and Google Maps. Here’s a run down of these services and how small businesses can use them. 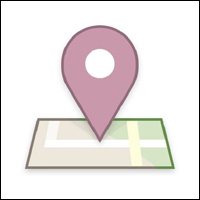 Perhaps the most intuitive to anyone new to location-based marketing, Google Maps allows you to place your business on their map system for free. This is a boon as it allows customers to find you with ease. By adding your business to Google Maps, Google creates a Place for your Business which allows users to not only check in via Google Plus but also allows you to add your own content to appear inline with Google’s natural search results, for free. This lets potential customers see photos and opening hours at a glance before they even click on your link, and it’s your chance to include an attractive tag line to draw them in. Google Places publishes a number of success stories featuring businesses who’ve done precisely this. Foursquare allows users to “check in” to locations with their mobile devices. Repeated check ins gain users titles such as “Mayor” and businesses can offer promotions based on the number of check-ins or for specific times of day. A great example of creative use of Foursquare is US pharmacy chain Walgreens’ winter flu-shot campaign. Walk in to Walgreens, check in on Foursquare, and the chain donates free flu shot vouchers to organisations such as the American Diabetes association, who help people who can’t afford flu shots. This kind of campaign is attention-grabbing and allows people to feel that they are helping and making a difference in a way that is quick and simple. Another way that Foursquare is useful is that it allows you, as a business, to publish your updates. This can be useful from a business perspective as it lets you keep customers up to date with the latest via social media. Facebook Places works just like Facebook pages but with the ability to let users check in to the physical location of a business or place. Business owners can keep their visitors and fans updated with status updates and by sharing other interesting content. In a similar way to Foursquare, this is useful for marketing when users check-in to local businesses, as well as being a fun way of letting customers know what you’re up to as an individual in business. Location-based marketing is a new and exciting area, and it’s one that I think will grow to sci-fi-esque proportions in the coming years. At the same time, while being fast and high-tech, it takes the anonymity out of internet use and adds personality and trust to interactions. Location-based social media is the future, but you can use it right now to create an extra dimension in your business. Looking for a location based social media marketing campaign? Get in touch and see how we can help your business.